Advertiser Disclosure: Travel Freely is an independent, advertising-supported web site. So that we can offer this amazing software to our free travelers, this site is part of an affiliate sales network and receives compensation for sending traffic to partner sites, such as CreditCards.com and CardRatings.com. This compensation does not impact how or where products appear on this site. Travel Freely has not reviewed all available credit card offers on this site. Chase’s Ultimate Rewards points can be earned via credit card spend and new account bonuses. Those points can then be transferred to airline partners, used to pay for travel or merchandise, or converted to cash back. 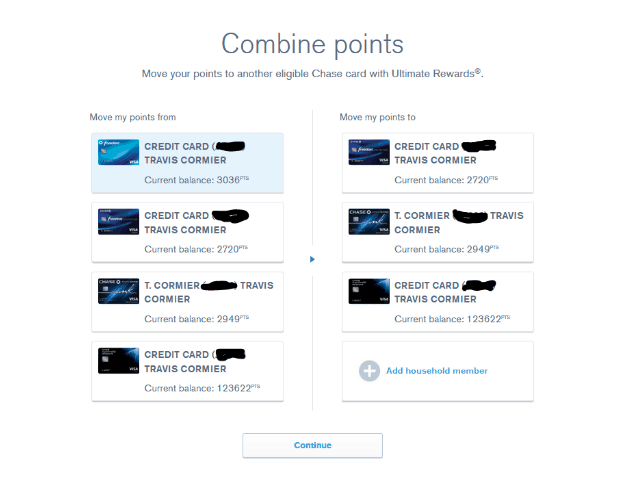 Chase Ultimate Rewards competes directly with two other bank issued transferable points programs: Citi ThankYou Rewards and Amex Membership Rewards. Below, you’ll find everything you need to know about Ultimate Rewards. The easiest and quickest way to earn Ultimate Rewards points is through Chase credit card signup bonuses, category bonuses, and retention offers (though Chase is not known for generous or frequent retention offers). Below are the current Chase cards that earn Ultimate Rewards. Of particular note are cards that earn 3X to 5X rewards within certain categories of spend: Chase Ink Cash (5x at office supply stores and on internet, cable, and phone services (cellular/landline) on up to $25K in purchases each year), Chase Freedom (rotating 5x categories each quarter), Chase Sapphire Reserve (3x travel and dining), Chase Ink Business Preferred (3x travel, shipping, internet, cable, phone, and advertising with social media sites on up to $150K per year). Starting your journey into free travel is an awesome experience. Most beginners choose wisely and start with a Chase Sapphire Preferred card. The feeling when your first bonus hits is what really proves that this works. Earning bonuses is the easy part of getting free travel. The hard part is actually making those points work for you. It is a bit of an art, and a bit of luck to be sure you’re getting the best value you can. The easiest way to redeem Chase Ultimate Rewards is using Chase’s own travel portal. To access it, login to your Chase account and find the button that shows your Ultimate Rewards Balance. Click on this and you’ll be taken to the Chase Travel Portal. From there you can book flights, cars, hotels, even activities or cruises. This search engine will work similar to an online booking agency – such as Orbitz or Expedia. It allows you to redeem Chase Ultimate Rewards at a fixed cost. Book travel through the Chase Ultimate Rewards portal to get these values. For example, a $500 flight would usually cost 50,000 points, but with the Chase Sapphire Preferred or Ink Business Preferred it would cost only 40,000 points. With the Chase Sapphire Reserve, it would cost 33,333 points. You can book airfare, hotels, cruises, and car rentals in this way. Airfare purchased this way still earns airline miles and elite qualifying miles. Hotels booked this way do not earn hotel rewards. Worse, hotels booked this way often won’t offer you elite benefits even if you have status. Unfortunately, Chase recently switched to an Expedia-backed portal and removed some ultra low cost carriers. For example, you can no longer book Spirit Airlines or Southwest through Chase Ultimate Rewards. Fortunately, when you pay with points for travel, Chase’s automatic travel protections do apply. So, you can be covered for things like trip delays, trip cancellation & interruption, lost luggage, etc. The coverage you receive will be based on which card’s rewards were used to book the trip. For example, if you have both a Chase Sapphire Preferred and a Sapphire Reserve, you would want to move your Ultimate Rewards points from the Preferred to the Reserve and then use the Reserve points to book your trip. You will get both better value (1.5c per point) and better travel protections. If you would like to use points earned on other cards with a card like the CSP or CSR, combine your Ultimate Rewards points with other cards in your name or with one other member of your household or business partner as seen below in the “manage points” section. The best use of Ultimate Rewards points is to transfer points to airline and hotel partners in order to book high value awards. Your best bet is usually to wait until you find a great flight or night award before transferring points. Unlike Citi and Amex, Chase does not typically offer transfer bonuses. For instance, Chase Ultimate Rewards always transfer 1:1 to British Airways Avios — but during transfer bonuses, you may get a ratio like 1:1.4 from Amex Membership Rewards to Avios. It’s worth taking a look at current bonuses before transferring. Remember that points can be transferred to the loyalty accounts of the primary cardholder or any authorized user on the account. Points can also be transferred to the loyalty account of a joint business owner, but they do need to be an authorized user on the associated business account. Air France KLM Flying Blue 1 to 1 Monthly Air France Promo Awards often represent very good value. Air France miles can be used to book Sky Team awards, including Delta awards. Avios 1 to 1 While flights on British Airways itself often incur outrageously high fuel surcharges, many BA partners charge low or no fuel surcharges. Great value can be had in redeeming BA points for short distance flights. Iberia offers very low award prices on their own flights. Round trip partner awards can offer good value under some circumstances as well. Fuel surcharges are often lower than when booking through British Airways. Aer Lingus shares the “Avios” currency with British Airways and Iberia. In most cases it is best to move points to one of those programs in order to book awards for less. Hyatt 1 to 1 Use for Hyatt free nights or points + cash nights. Hyatt points are often worth at least 1.7 cents each towards free nights, but they’re sometimes worth far more. One hidden bonus: award nights are not subject to resort fees. JetBlue 1 to 1 JetBlue points offer the most value when cheap ticket prices are available and when award taxes are high relative to the overall cost of the ticket (more details can be found here). The JetBlue Plus Card and the JetBlue Business Cardoffer a 10% rebate on awards, so you can get more value by holding one or both cards. Singapore Airlines KrisFlyer 1 to 1 Use to book Singapore Airlines First Class awards (generally reserved for their own members) or for Star Alliance awards. Low change fees and no close-in booking fees make this a very good program for booking United Airlines flights. Southwest Rapid Rewards 1 to 1 Award flights are fully refundable. Point values vary due to certain taxes not being charged on awards, but tend to average around 1.5 cents per point. United MileagePlus 1 to 1 Even though Singapore Airlines miles have a number of advantages over United miles for booking Star Alliance flights, United has advantages too. For one, it is possible to book most Star Alliance awards online at United.com. Additionally, United awards sometimes cost fewer miles with United than with Singapore (especially premium awards on United’s own flights). And, most importantly, United never charges fuel surcharges for awards. In some cases, United is far cheaper than Singapore Airlines for this reason alone. Virgin Atlantic Flying Club 1 to 1 Virgin Atlantic miles can be usefully thought of as a way to get a discount off Virgin Atlantic flights (high fuel surcharges make the flights far from free), but there are some better uses. Use miles to upgrade paid flights or to fly partner airlines. A fantastic use is to fly ANA in business or first class thanks to Virgin’s generous ANA partner award chart. Or, if you can find saver level Delta awards for nonstop international travel, you can often book through Virgin Atlantic far cheaper than with Delta directly. All you need to do is have a loyalty account with the respective program set up first. Chase will ask you for your account number and make the transfer. Many transfer are immediate, although some will take a few days. Before transferring you should always be certain that award availability exists. You cannot transfer back to Ultimate Rewards after a transfer is initiated. Go here for a list a list of all rewards programs, transfer partners, and award charts. Chase Ultimate Rewards cardholders can redeem points for 1 cent each either as statement credits or as cash back. Cash back can be taken as a statement credit or via check or ACH transfer. Through the Ultimate Rewards portal you can also redeem points for gift cards or experiences. At most, with this approach you’ll get 1 cent per point value. One exception is that Chase occasionally offers gift cards at a discount so you may be able to get better than 1 cent per point value during a gift card sale. You can also use points to pay some merchants directly (Amazon.com, for example or via Chase Pay). Be careful with this. These options offer poor value. Further, they may compromise the security of your account (i.e. if someone hacks into your Amazon account, they might spend your Ultimate Rewards points – causing you a headache in getting your points reinstated). If you are the primary account holder with multiple cards, you can combine Ultimate Rewards back and forth between your accounts at your leisure. 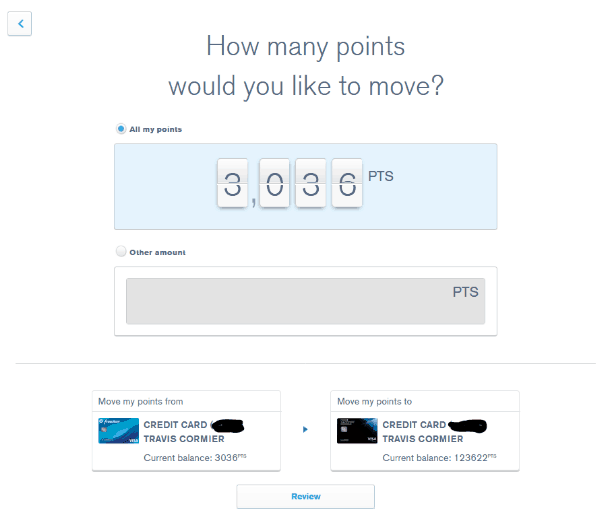 Your points can then be redeemed according to the card to which you move them. For example, if you have the Freedom Unlimited and the Sapphire Reserve card, you can earn 1.5 points per dollar on purchases with the Freedom Unlimited and then move those points to your Sapphire Reserve account to redeem them for 1.5c each towards travel. 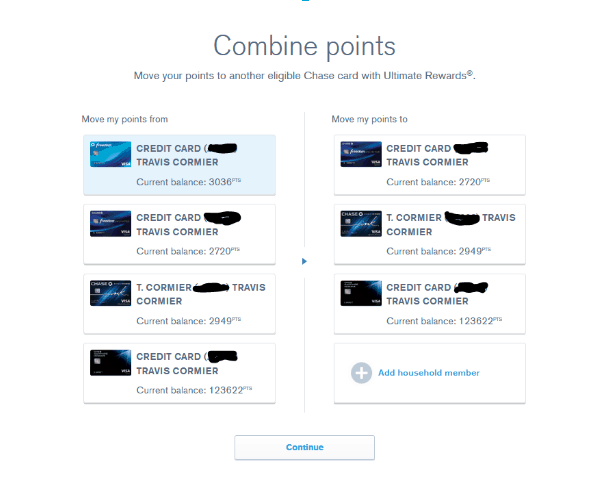 If you intend to cancel a Chase Ultimate Rewards card, you should first combine your points with a card you intend to keep active. Once you cancel, you will forfeit any unused points in that account. A product change should not affect your balance, but some people prefer moving points before a product change as well just to be safe. First, you’ll want to log into your portal. Here you’ll see all your Ultimate Rewards cards laid out. 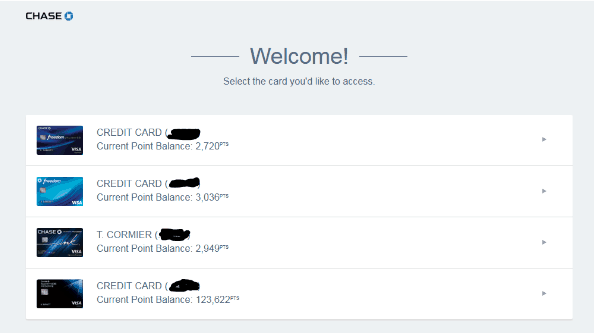 As you can see in the example below, not all of my points are together on my Chase Sapphire Reserve. I want to combine Chase Ultimate Rewards onto my Reserve to get the best value. Select the card you want to move points from. In this example, I’ll use my Chase Freedom. At the top menu, you’ll see in the small text the option to combine points. Click this. This will take you to the page to combine your points. Here you can combine Chase Ultimate Rewards from any card, to any card. Select the cards you want to combine from and to, and click continue. You can transfer partial or total amounts. Select the amount you want to combine and click review, then confirm and submit. Chase allows customers to transfer Ultimate Rewards points to any other account in that customer’s name or to one additional household member or joint business owner (for free). When you do this, you’ll just need to enter your spouse or cardholder’s name and account number. The account number is just the credit card number of the account you are transferring points to. After that, you will just need to confirm the amount you wish to transfer. 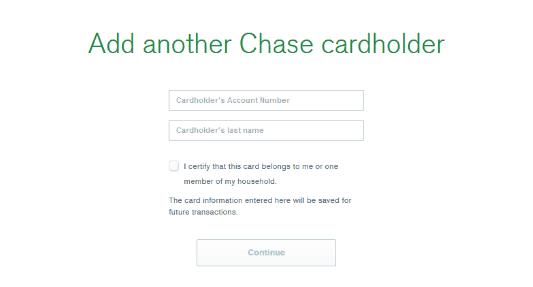 Then you will be able to combine Chase Ultimate Rewards between household accounts. You earn points with the card offering the best return on purchases and then use points with the card offering the best redemption rate. Only one member of your household needs to maintain a premium card for transferring to partners or booking travel (though note that the primary cardholder can only transfer points to partner loyalty programs in the name of the primary cardholder or authorized users). Thankfully, it is very easy to keep Chase Ultimate Rewards points alive: simply keep the points in an open Ultimate Rewards account and they will not expire. Note that if you close an Ultimate Rewards card, you will lose any points associated with that card. You should first combine points to move points away from the card you intend to close and to another card that will remain open as per the sharing section above before canceling. 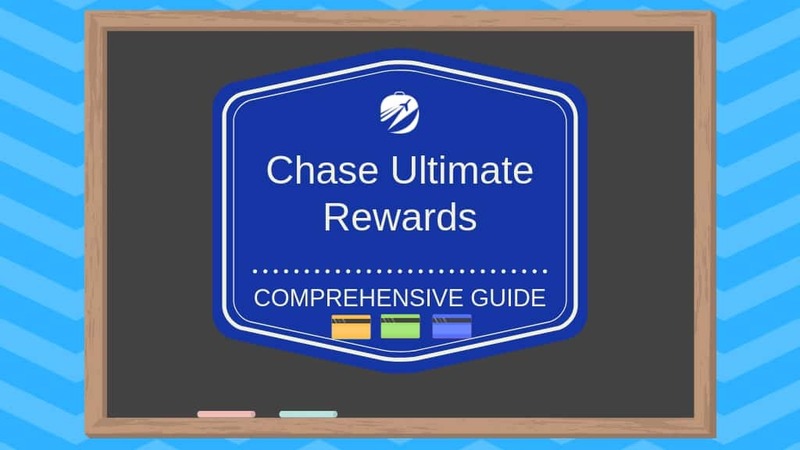 Chase’s official Ultimate Rewards page can be found here. 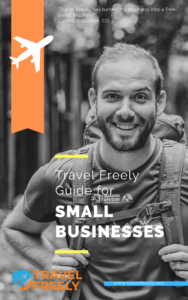 When you sign up for the Travel Freely, you’ll gain access to our Become a Free Traveler Guide to help you get started. 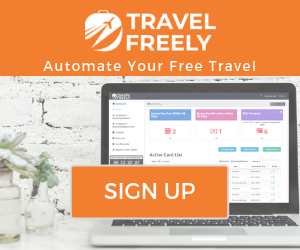 If you’re already an experienced points and miles enthusiast, Travel Freely is made to replace your spreadsheet with the ultimate card management tool. Get email reminders for product changes, annual fee deadlines, minimum spend deadlines, and credit management. The responses below are not provided or commissioned by the bank advertiser. Responses have not been reviewed, approved, or otherwise endorsed by the bank advertiser. It is not the bank advertiser's responsibility to ensure all posts and/or questions are answered. Being strategic about upcoming annual fees. Am I Eligible for a Business Card? Note: The owner of this site is not an investment advisor, financial planner, nor legal professional. Articles here are of an opinion and general nature, and they should not be relied upon for individual circumstances. Advertiser Disclosure: Travel Freely is an independent, advertising-supported web site. This site is part of an affiliate sales network and receives compensation for sending traffic to partner sites, such as CreditCards.com and CardRatings.com. This compensation does not impact how or where products appear on this site. Travel Freely has not reviewed all available credit card offers on this site. This Month: Our top ranked business card bonus is worth $1,500+ in free travel! Our #1 business card bonus is worth $1,500+ in free travel.